Mechanical Flail Mower FM Park is constructed particularly for front mounting on small compact tractors and Municipal vehicles. The double-spiral rotor with special flails delivers a perfect work where the quality is on par with reel mowers. Perfect cutting result with a very low power requirement. 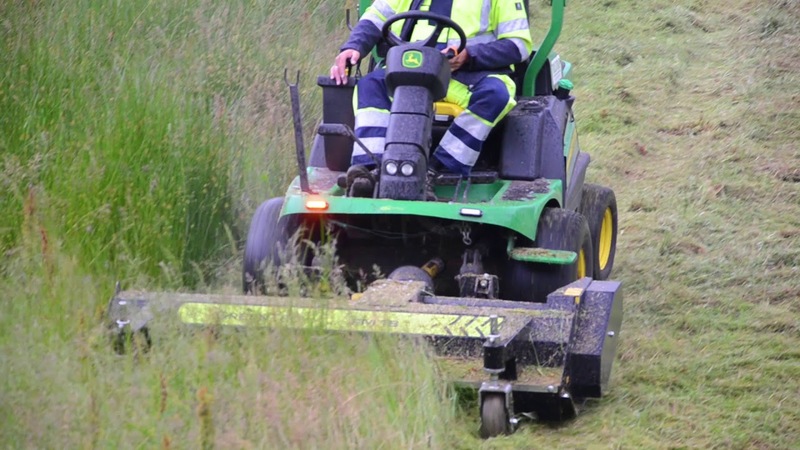 The falil mower is with mechanical drive but it is also available with hydraulic drive.